HOT! 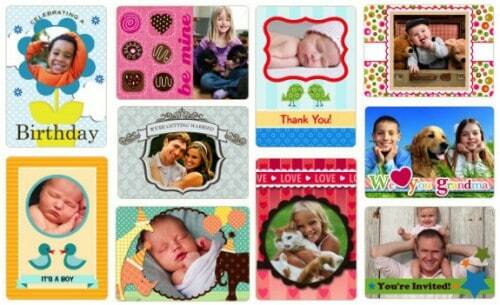 Personalized Animated Valentine's, Birthday, Thank You, or ANY Photo Card Just $0.99, FREE Shipping! HOT! Personalized Animated Valentine’s, Birthday, Thank You, or ANY Photo Card Just $0.99, FREE Shipping! Today through January 28th, Snapily is offering a promo code to get their unique personalized animated photo cards for just $0.99 with FREE shipping! That's OVER 75% off since we usually have to pay for shipping, too! How do the special effects on these Snapily cards work? The personalized animated cards allow you to view 2 photos in the space of a single photo. A simple flick of our wrist reveals one image after the other. This is a very useful and creative way to show off before & after, naughty or nice, young and old or just two pictures in one card. The Snapily promo code VAL99 is good on ANY photo card, not just Valentines. You can use it on birthday cards, Thank You notes, cards for grandparents, invitations or any other design you can think of. Snapily also personally assured me that you can use this promo code more than once, as long as you place a new order for each card you want to get for just $0.99! Browse all the animated greeting cards and choose the one you want. Customize your card by adding photos and changing text. Enter Snapily.com promo code VAL99 to get your order total to $0.99 with FREE shipping.